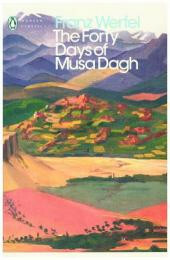 Produktinformationen "The Forty Days of Musa Dagh"
It is 1915 and Gabriel has returned to his childhood home, an armenian village on the slopes of Musa Dagh. But things are becoming increasingly dangerous for his people in the Ottoman Empire, and, as the gouvernment orders round-ups and deportations, the villagers of Musa Dagh decide to fight back. The seminal novel of the Armenian genocide Franz Werfel's bestselling 1933 epic brought the catastrophe to the world's attention and has become a talismanic story of resistance in the face if hatred.